Even though the original Polaroid company is officially defunct, The Impossible Project refused to let it die completely. They changed their name to Polaroid Originals and made every Polaroid fan ecstatic when they announced that Polaroid OneStep 2 camera is in works. The result is a modern version of an absolute classic that blends the retro design with the latest technologies. Polaroid’s OneStep Land Camera 1000 is one of the most iconic cameras ever. 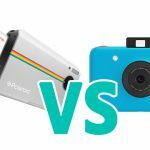 The design is recognizable, so it comes as no surprise to find out that Polaroid Originals decided to return to the roots and launch a similar camera with a modern twist. OneStep 2 will look very familiar to you because it still has many of the original details such as a big shutter button in a red color, as well as a sloped backside. A rainbow logo is a nice addition that connects OneStep 2 with its predecessor. 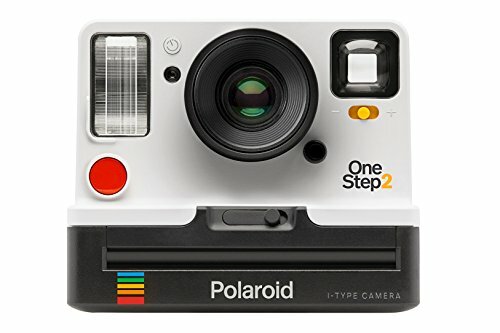 Even though Polaroid OneStep 2 might look retro, this camera is very current. For instance, you can charge the battery through a micro USB port and keep a track of the remaining shots. The flash is adjustable and you may select the strength you might need in a given situation. Not to forget that battery can last for a very long time regardless of how much you use the camera. Polaroid Originals stuck to the familiar square format for their films, and they also improved the formula. Therefore, the overall quality of the instant prints is higher. Even though you might have to wait for up to ten minutes for the photos to be fully developed, that is a huge step forward for Polaroid Originals. The camera uses the film for 600, but you can safely use I-Type as well. The price of Polaroid OneStep 2 is about $99.99 which is great for an instant camera. This means it will reach a wider audience, and more photographers will be able to use this camera. It is perfect for beginners due to its simplicity, and they will get a chance to try out the instant photography without spending too much money. While the retro design does feel incredibly cool, Polaroid Originals included the bulky backside as well. It is great that they added so many vintage details, but this might be uncomfortable to some users, especially when combined with a small viewfinder, and a shutter button on the front of the camera. Polaroid OneStep 2 requires 600 films and it is very expensive. You will have to pay $18 for a pack containing eight photos. So you might not be able to shoot as much as you want. Fujifilm inspired a whole new generation of photographers with their fun and playful Instax Mini line. This latest edition still has the same design with a couple of useful extras. Fujifilm continued the instant photography trend and managed to become a leader in the absence of Polaroid. So it shouldn’t surprise you that their cameras are very popular among users of all generations. 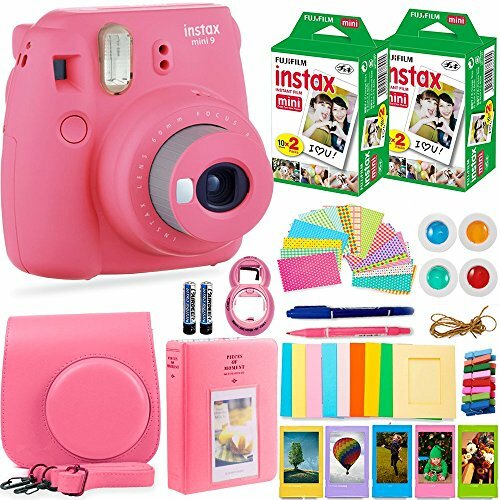 Another great thing about Instax Mini 9 is the fact that you can choose from five adorable colors – cobalt blue, ice blue, flamingo pink, lime green, and smoky white. 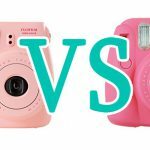 Fujifilm Instax Mini 9 is a perfect instant camera to have in your bag. The recognizable chunky design has rounded edges, so it is incredibly easy to hold. This camera looks interesting and simple to use. It is great for taking random snaps of your daily life, and it will make every situation a lot more interesting. Film photography can be tricky because you need to make adjustments manually. However, Fujifilm Instax Mini 9 has a light meter that will help you get the most of your shot. If you take a closer look at the lens, you will notice that there are four settings – sunny, very sunny, indoors, and cloudy. The light meter will recommend you the mode you should use in a given situation. One thing that sets Instax Mini 9 apart from Instax Mini 8 is the addition of a selfie mirror. So if you love taking autoportraits, you will be able to frame yourself perfectly into the shot. The mirror is located next to the lens which is ideal for great selfies. Plus, you can attach a close-up lens if you want to experiment and take macro photos. 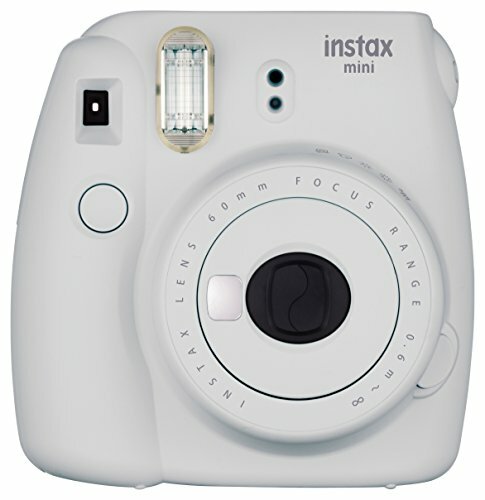 Fujifilm Instax Mini 9 costs about $69.95, so it is pretty cheap for an instant camera. But more importantly, the film is inexpensive as well. If you plan on using the standard Instax Mini film, you can get a double pack with twenty photos for $12. Rechargeable power sources are becoming more and more popular, but Fujifilm Instax Mini 9 still runs on simple AA batteries. There is no micro USB charger which might be off-putting to some users. However, two AA batteries can last through up to ten packs of film. 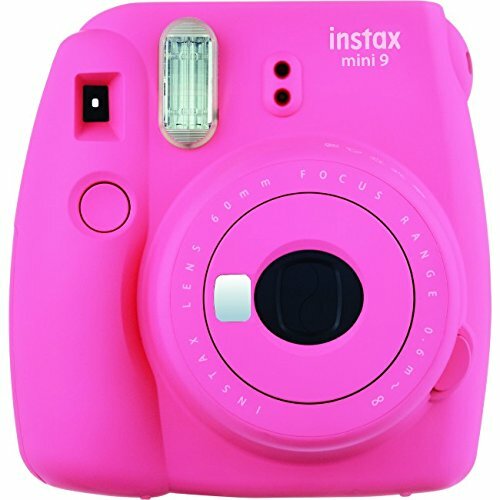 Instax Mini 9 is not compatible with a tripod and there is no socket on the bottom of this camera. Even though the majority of people who like instant photography do not use tripods, it would have been a nice detail. 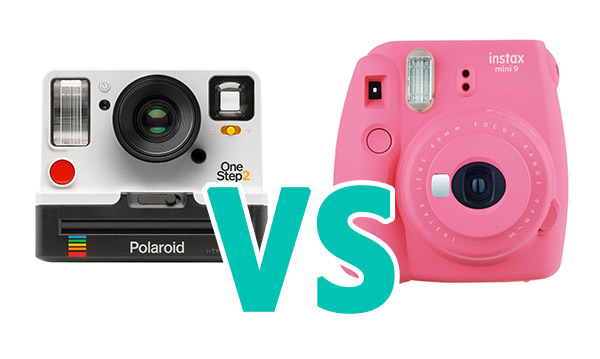 It is difficult to choose a clear winner because both Polaroid OneStep 2 and Fujifilm Instax Mini 9 are great cameras that produce really good images. 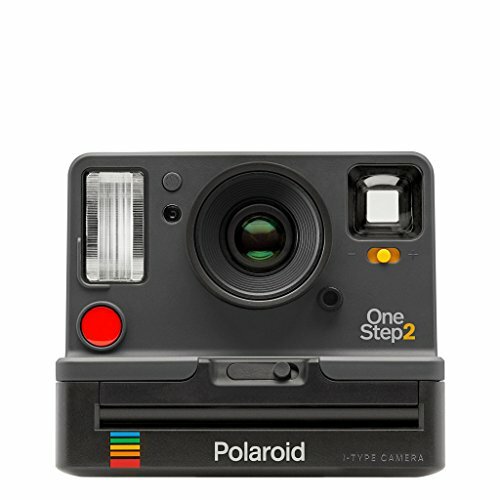 Polaroid OneStep 2 is a newcomer and has that old-school vibe that will make you travel back through time. On the other hand, Fujifilm Instax Mini 9 is made for a modern generation and looks almost like a toy camera. Instax Mini 9 does deliver better images, and the film is affordable. The shape is user-friendly, and it provides you with shooting options. OneStep 2 is definitely more expensive, and the film is not cheap either. So if you plan on shooting numerous images throughout a day, Instax Mini 9 might be a better option. OneStep 2 looks nostalgic, but the film is not so affordable. WHAT ABOUT THE FUJI 70?